Father’s Day is this weekend and while you can get him the tradition gifts like ties, golf balls, or “World’s Greatest Dad” t-shirts, we’ve come up with a few other ideas for you. Some dad’s like to get out explore the woods, enjoy a day with the family or seek high adventure thrills, while others would prefer to enjoy some great craft beer or a local specialty food item. The Western White Mountains region has something for everyone to get out and celebrate Dad, some even offer some great deals for Father’s Day. Clark’s Trading Post– Head over to Facebook to find a $2 off General Admission coupon, valid any day June 2017. Watch a famous Black Bear Show, ride a Steam Train, or be chased by the Infamous Wolfman! Hobo Railroad– This weekend it’s Grafton County Days! Grafton County NH residents can save $2 off, per ticket with proof of residency. Trains depart from Lincoln, NH twice daily this weekend and don’t forget to get dad a Hobo Picnic Lunch aboard the train! Whale’s Tale– Relax by the pool, float around the lazy river, or race dad down the slides. Locals Rule during the shoulder season of the park and tickets are just $24 for NH residents when you visit Facebook to download a coupon. Alpine Adventures– Does dad like to feel the rush of adrenaline ? Dad’s zip FREE on Father’s Day. Limited space available, reserve by calling 603-745-9911. Loon Mountain Resort– Take the scenic gondola to the summit of Loon Mountain and explore the glacial caves and take in the beauty of our area. When you head back down the mountain be sure to explore the kids activities, and if you’re ready for another big adventure try The Aerial Forest Adventure Park or Zipline across the river! So many ways to explore at Loon Mountain.  Franconia Notch State Park– Explore the beauty of Franconia Notch on foot, by bike, by boat or by tram. Visit the Flume Gorge to see granite gorges, glacial pools and waterfalls, then continue north through the notch and ride the Cannon Mountain Tram to 4080’ and take in spectacular views of the Notch an surrounding areas. If you’re visiting both locations be sure to get the Discovery Pass. Lost River– You may have been to Lost River during the day but it’s a whole new adventure at night! The caves are lit by lanterns and boardwalks are lit by headlamps. This guided tour takes about 2 hours and begins at dusk. Polar Caves– Dad gets in FREE this weekend (June 17-18) with another paid admission. The Polar Caves consist of nine amazing granite boulder caves now connected by boardwalks for easy exploration. White Mountain National Forest- There’s a great walking trail in the National Forest. You’ll find the Lincoln-Woods Trailhead just past Loon Mountain Resort. This walking trail following along the river and has a slight elevation gain perfect for all members of your family. Chutter’s– Does Dad have a sweet tooth? If he does, then you’ll have to check out Chutter’s. Check out their two locations in Lincoln, NH and Littleton, NH, the Littleton location is home to the World’s Longest Candy Counter! Purple Tomato Farmer’s Market– A fresh market with farm-to-fork specialty sandwiches, salads and award winning lobster rolls! Woodstock Inn– Enjoy a special Father’s Day Brunch from 9:30am- 2pm. Woodwards Resort– Bring Dad to the Grille and get a free appetizer with you meal! Dad won’t want to miss out on this great summer event! Get Dad tickets to the signature ON TAP event during the New England Brewfest, June 24th. Dad will be sure to have a good time with over 30 breweries, 100+ beers, live entertainment and a great mountain setting. There’s just so much to do in our area, the Base camp of the White Mountains! This was just a sampling of idea starters for you. Be sure to explore our website and visit our members to make some great vacation memories. Previous Post: « Welcome to the Basecamp of the White Mountains!